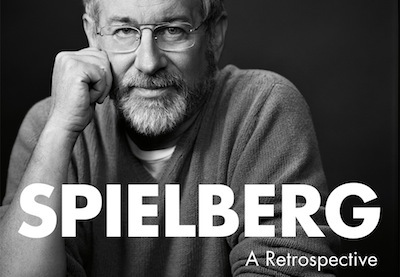 Spielberg: A Retrospective, by Richard Schickel, is a chronological survey of Steven Spielberg's career as Hollywood's most commercially successful director. Schickel reviews each film, and quotes from his interviews with Spielberg, though this is not a full-length interview book like Conversations With Scorsese or Woody Allen: A Life In Film. Schickel previously interviewed Spielberg for the television documentary Spielberg On Spielberg, from which many of this book's quotations are taken. Spielberg also wrote the book's foreword. Schickel and Spielberg both acknowledge their friendship, and while this results in co-operation and candour from Spielberg, it also makes Schickel's commentary less objective. Thus, there is little overt criticism of Spielberg's films here. Also, each film is given approximately equal space, which means that chapters on the classics (such as Jaws and Jurassic Park) are not long enough, while less substantial films (Indiana Jones IV, War Of The Worlds, Hook, 1941, Always, War Horse, etc.) receive disproportionate coverage. The book was published before the release of Lincoln. Schickel's television series and book The Men Who Made The Movies include interviews with Alfred Hitchcock and other directors of the classical Hollywood period. More recently, he has directed the documentaries Scorsese On Scorsese and Woody Allen: A Life In Film. He contributed reviews to the updated Film Noir: The Encyclopedia, and wrote a monograph on Double Indemnity for the BFI.